Coming up with a new idea for a story can be intimidating. Usually my best ideas float into my brain when I least expect them. That’s what happened when I first started toying with the glimmer that would evolve into FROM THE GRAVE. I was on a long car ride, bored, tired and battling my usual motion sickness. Maybe an upset stomach is what helped a quirky idea pop into my head. I quickly grabbed some paper and started jotting down notes. Monsters are monsters, right? Filling out a Character Chart on them is simple. But what if there were more to monsters than this? What if our stereotyped version of them was excluding a very important—and extremely intriguing—group of creatures? What would make a monster a misfit? I needed a new Character Chart. So then I started brainstorming based on a few conventional monsters. It seemed to me that people’s vision of monsters was pretty much set in stone. A green, hulking Frankenstein—but what he if wasn’t green but a pale baby blue and he didn’t like to hulk? 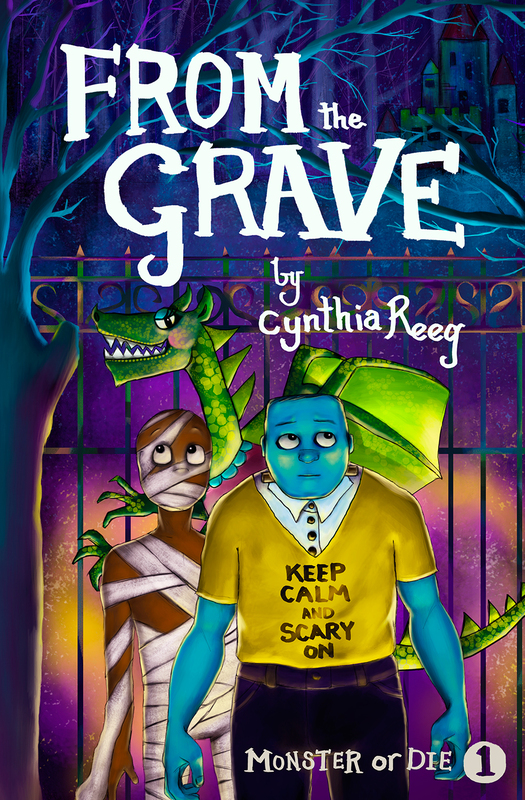 A creepy, stalking mummy—but what if he didn’t like to stay wrapped up and would rather read than stalk? A fire breathing dragon—but what if the dragon gushes only water and enjoys giving rides to her friends? And what if there were a number of these young mutant monsters? What if they were excluded and lumped into an Odd Monsters Out class in an extremely structured monster world where they had to reform—or face exile? For if these misfits couldn’t or wouldn’t change their appearance and behavior, they were worthless. Monster or Die! Thus began my creation of Uggarland, a parallel monster world, where rules are paramount. Monster Rule #1: Follow the rules, or else! Where differences are not acceptable. Monster Rule #5: A monster is judged by his actions, so act up! Where questioning the status quo can lead to exile. Monster Rule #913: A well-educated monster knows not to ask any questions. Secrets and shenanigans began piling up with each new character I tossed into the bubbling cauldron. Monster Rule #19: When the truth compromises monstering, it’s best to lie. 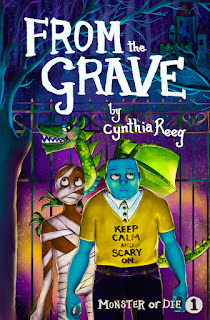 At first, I thought my goofy monster story would work for the second to third grade chapter book crowd. But quickly I saw the potential to use this fantasy world for exploring our own world. I could entertain with plenty of adventure and intrigue, but I could also challenge older middle grade readers with a more involved plot and in-depth characters. By highlighting bullying and prejudice in a creepy, sometimes crazy, environment, I could invite the readers to comparisons in their own lives. There is a great need for acceptance and inclusion in society. The benefits of welcoming diversity are priceless. By encouraging each one’s special talents, we all succeed. In FROM THE GRAVE, I learned that all monsters do love to monster—just each in their own way. I’m a curious librarian who ventured from behind the stacks to become a children’s author. Now I contend with monsters, mayhem, and odd assortments of characters—both real and imagined—on a daily basis. As an advocate for children’s literacy and supreme defender of reluctant readers everywhere, I manipulate words into wondrous kid-friendly creations to be enjoyed over and over again. As one of my poems attests, I’m always reaching for the stars. 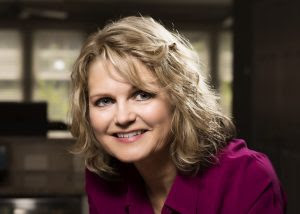 For more information, visit www.cynthiareeg.com. Monster is as monster does, but Frankenstein Frightface Gordon is totally the wrong shade of ghastly green—pale, baby blue, in fact—and he's more concerned with keeping his pants neat and tidy than scaring the pants off his victims. But when a new law is passed to rid Uggarland of misfits such as Frank, he must decide if he will become the monster his parents can be proud of or be the monster he can be proud of. Trusting the most monsterly monster he knows, Frank looks to the grave and his dead grandmother to make his choice, entering into an adventure that most likely will seal his doom. “There are lots of great themes and lessons here, particularly about how our society treats people (or monsters) who are outside of the norm, but they are drenched in monster pus and roars and hysterically funny things." —Wendy McLeod MacKnight, author of It's a Mystery, Pig Face! Great post! I love hearing how the seed of a story grows and blossoms! This sounds like fun! And a movie! And a tv show! And more books!